An Innovation Design Sprint is a condensed strategic design workshop that aims to generate fast prototypes of innovations in your product, service, process or business model. There are five key phases to help our team deep dive into innovation: Elemental, Discover, Reframe, Envision and Create. The Innovation Design Sprint is an agile nine-phase process that helps your team deep-dive into discovery, re-creating, prototyping, and validating your innovations until you arrive at your Minimum Viable Design. It is also a playful process that optimises team learning, engagement and creativity. We run multiple sprints to ensure rigour and validity. Our Innovation Design Sprints start with an intense 1-day session to get your early prototypes up and running as fast as possible. This session is followed up with subsequent scheduled sprints to allow the team time to run validation research and testing. We also offer a ‘pick your own adventure’ sprint where we can start anywhere to help your team out of a rut or entrained thinking. In each of these areas we provide a range of focused and specialised mini-sprints to build capability and creative output. Our process is based on creative problem solving by developing engaged and playful teams. We use playful tools and experiences as part of the process of breaking out of entrained thinking so we can think more creatively. We build physical models of the problem and proposed solutions that bring early prototypes of business solutions to life. 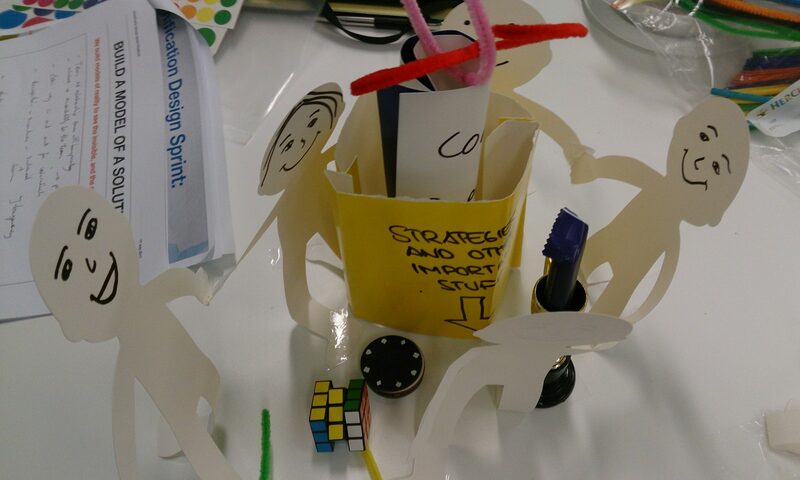 We work to get your teams ‘out of their heads’ and start building models to depersonalise the issues and express the issues on a deeper and more creative level. We incorporate gameful design elements during the process that takes workshop participants on a journey of discovery of new skills and approaches to human-centred design. Our approach based on the latest research in cognitive science, behavioural economics and human-computer interaction on how to better engage with your stakeholders in a product, process or service that you are looking to redesign. Rather than use mechanical ‘persona’ development, we start with archetypes to stat at the beginning of building empathy and insight and avoid stereotyping our target audience. Furthermore, we work with your design and strategy team to identify any potential design bias that might get in the way of effective product, service and process design.